While many are getting ready to shop Black Friday, the numbers show that the best time for holiday shopping deals are spread out from early November to New Years sales in January. Forbes discussed the best shopping days by sharing the information from the Adobe annual online shopping forecast. While the post stated that Thanksgiving Day has some of the best pricing, Forbes shared that “Adobe also predicts that the largest single-day drop in prices, 5% on average, will happen on the Monday before Thanksgiving, thanks to retailers trying to get an even earlier jump on sales.” If retailers are trying to get an earlier jump on sales, maybe shopping early is a great way to get a jump on holiday shopping! Another big trend is mobile shopping so retailers are offering more deals online. I shopped during Black Fridays for the last few years and realized that while there were some key deals, many items were either sold out or out of stock by the time I tried to get them. Looking back at the even the Black Friday/Cyber Monday sales items that were sold out, some discounts were similar what I found later in December and even January. At the store there were also limited stock for the best pricing and other items were regular price. My lesson learned was instead of only waiting for specific “sale” days I would start looking for deals early in the season. For the in store shopping, I like to talk to the staff to see when the sales start and also see if they have shopper programs that offer early access to sales. For example, some stores offer sale information over their email newsletters. Marketwatch looked at holiday shopping information from Savings.com and found that the best shopping days for specific categories of items range from Thanksgiving weekend to throughout December. Last year I needed to buy a TV for our family and found that New Years Day sales in January not only had the best pricing but were also less crowded. I assumed New Years Day sales were good because it was after the holidays and the stores wanted to move inventory out to clear space for new items. This year we need to upgrade our gaming console so while I will be monitoring sales throughout the holiday season, I may just give our kids a “rain check” and shop the New Years sales. The biggest tip is that unplugging with family and friends is the best gift of all, so why stress yourself out shopping when sales are spread out across the season? What good is saving money if it means increasing stress? Maybe the best strategy is keep an eye out for sales starting in November and start shopping early. Then put down phones, shut off computers and enjoy Thanksgiving and holiday events. 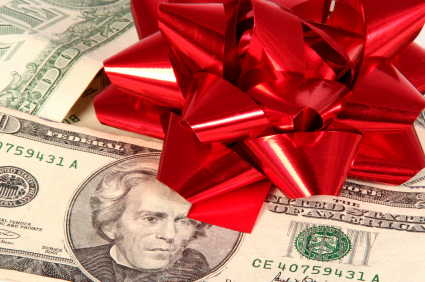 What is your holiday shopping strategy? UPDATE: On Facebook I shared the post and had some great discussion points. I wanted to add that if you *enjoy* shopping and it does not cause you stress or cause you to leave social occasions early (or not go all) – then go for it! Even shopping online is a great way to have a lower stress shopping experience. For those that enjoy shopping at stores, holidays are a fun time to shop because of the sales. I say just stick to budget and make sure you are also find time to relax and enjoy time with family & friends!